You never realize how noisy something is until you turn it off. I'm using a Sun Ray 2 thin client at home over a VPN connection. 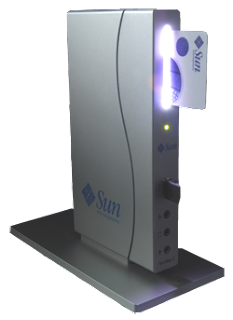 I never realized how loud my PC disk drives and fans were until I started using a Sun Ray thin client. The silence is welcomed and appreciated. Now I have to replace my LCD monitor. It has a low buzz that I never detected before.